Sorry, we are currently sold out of 'CMC EdgeTech Pack'. If the product was marked as 'In Stock' when you placed it in your basket, it means you have purchased the last one. Made from CORDURA nylon, the perfect sized EdgeTech Pack. 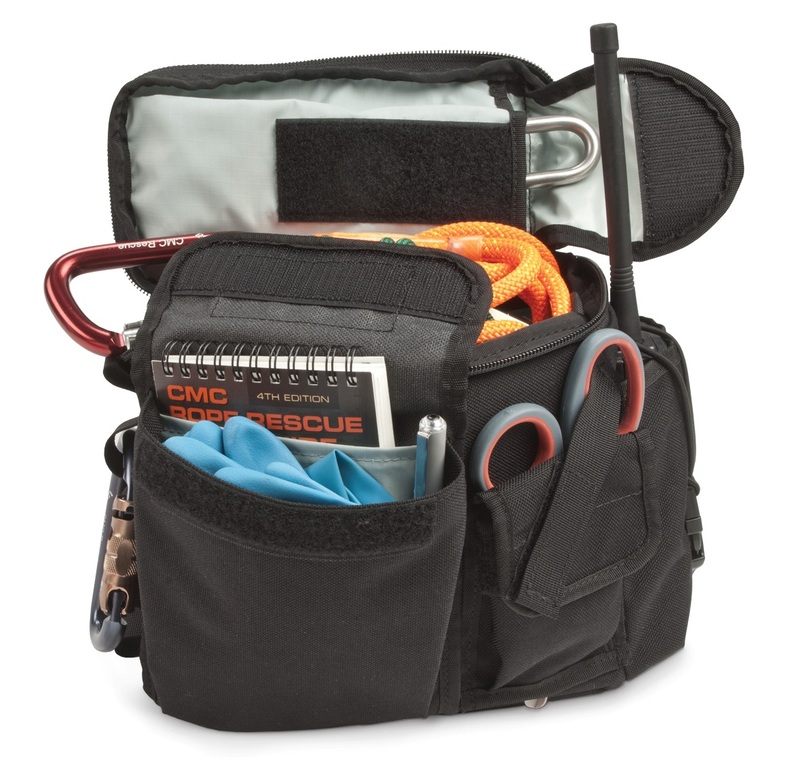 External pockets are designed to organize everything from a brake rack or radio to trauma shears and a multi-tool. A smaller external pocket is the perfect size to hold a field guide, latex gloves, a note pad and pen, or your cell phone. One side has carabiner loops, and the top features a double zipper pocket. Inside, the main compartment has an adjustable divider to keep rope and hardware organized. The pack attaches securely using its belt sleeve or adjustable hook-and-loop harness attachment system.